Matthews Athletic and Recreation Association (MARA) was founded in 1956 for the purpose of providing the youth in the Matthews area an organized association for sports and recreational activities. Located at Arthur Goodman Park, MARA provides a balance of strong leadership and an involved community. We offer two (2) different forms of football: Flag and Tackle. 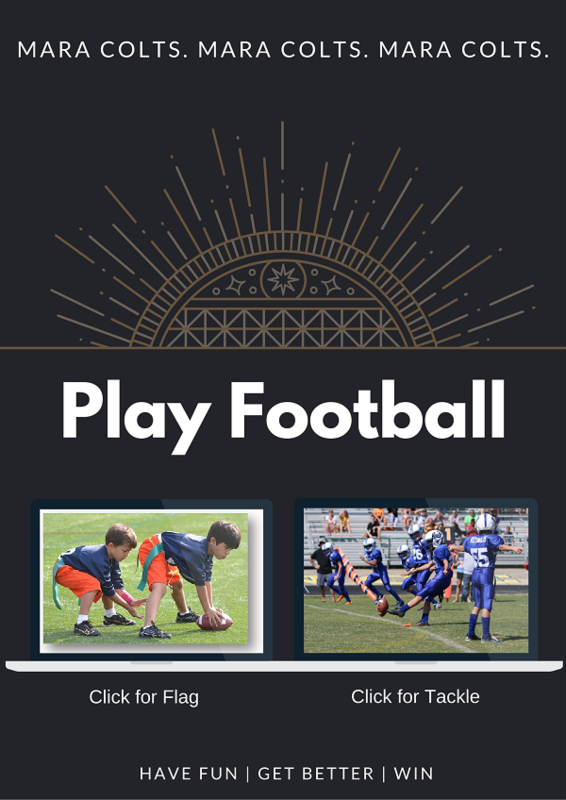 Flag Football is offered in the spring; usually it begins in March and ends in May. Tackle Football is played during the fall and it starts August 1 and ends in mid-November. Please read the FAQ before emailing questions.